As Donald Trump’s administration continues to try to get coal to happen even though it is becoming more expensive and a serious environmental tax, a new report claims that more than 40 percent of the world’s coal power plants actually with loss. It is a figure that will only climb with increased regulation and carbon pricing as well as increasingly cheaper renewable energy sources such as wind power and solar energy. ” Our analysis shows a minimum cost system without carbon should be seen as an economic inevitability rather than pure and green niche, “said Sebastian Ljungwaldh, energy engineer for Carbon Tracker and co-author, in a statement. In addition, Carbon Tracker said consumers put up the bill to keep non-viable coal plants alive. According to the survey, removal from coal can potentially save taxpayers’ billions. 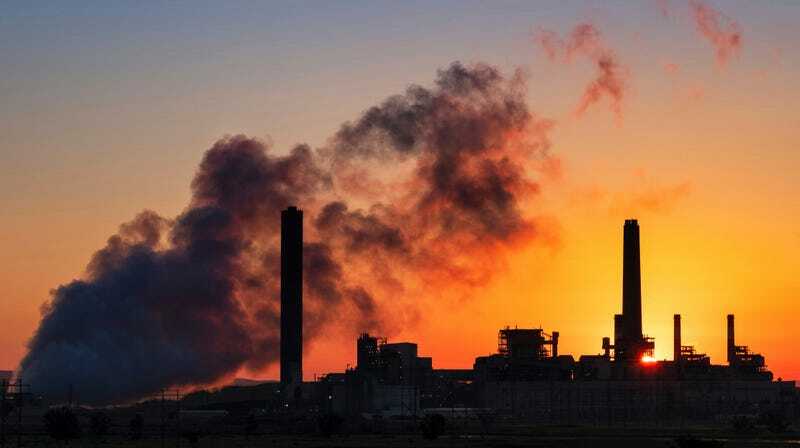 “The story quickly changes from how much do we invest in new carbon capacity to how do we close existing capacity such as losses [minimizes],” Matt Gray, Carbon Tracker, Chief of Power and Tools, and co-author of the report, said in A statement. We have long known that coal is a dying and more expensive industry. But by breaking the figures, Carbon Tracker has presented a convincing economic argument for the expansion of coal plants. The report was presented to COP24, a major UN conference on climate change taking place in Katowice this week (which is worth noting also happens to be at the heart of Poland’s coal region). Washington Post noted that coal is expected to be a primary pretext point because more than 200 countries are convened to handle climate change. As if the climatic crisis is not enough to kick coal to the edge, saving billions certainly makes a convincing case.